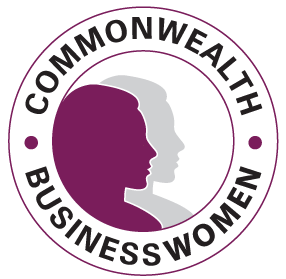 In a major boost to facilitating market access, participation and presence, trade missions of businesswomen to Commonwealth countries were announced at the CHOGM Business Forum in Malta by the Commonwealth Businesswomen’s Network, an accredited organisation focused on women’s economic empowerment recognised by 53 governments. Commonwealth Businesswomen Multilateral Trade Missions will be organised with Ministries of Trade and Industry. They have two linked aims – firstly to facilitate international market access, linkage and business collaboration for women entrepreneurs (including via the internationalisation of SMEs) and women corporate executives and secondly to develop consortia of women entrepreneurs in global value chains to support collaborative contracting for procurement tenders from multilateral development banks and governments. The outgoing Commonwealth Chair-in-Office through Sagala Ratnayake, Minister of Law & Order and Southern Province Development, Sri Lanka announced the first Mission at the CHOGM Business Forum on 26 November which will be to Sri Lanka on 6-12 March 2016 to coincide with a major Investor Forum being organised with the Ceylon Chamber of Commerce. This will be followed by missions to Jamaica (to link to the 2015 National Export Strategy and Expo Jamaica on 14-17 April); a Joint Mission to Lesotho, Namibia and South Africa (including procurement opportunities for Commonwealth Games Durban 2022) in August; a Joint Mission to Samoa (coinciding with the 11th Commonwealth Women Affairs Ministerial Meeting) and Tonga in September; and Pakistan (during the 10th WEXNET, the largest Pakistan exhibition for women entrepreneurs) in December 2016.